With their suggested products, top lists, and curated categories, Amazon is able to provide customers with fully personalized product recommendations, like no other. It’s like having your very own personal shopping assistant and people around the world can’t get enough. It’s fair to say that Amazon is a major pioneer in marketing personalization and a brand that others can and should learn from. By 2020, customer experience will become the key brand differentiator, overtaking price and product and a great deal of this comes down to personalization. Selling and marketing without personalization go unnoticed, therefore, offering personalized customer experiences is no longer an option but a requirement. Marketing Personalization - What Is It Exactly? Before we dive deeper into the abyss of marketing personalization, let’s clarify what this phrase means, to ensure we’re all on the same page. Personalization is the process of targeting content to individuals based on one or more of the following: who they are; where they are; when, why, and how they access content; and what device they use to access it. Personalization is about making your customers or prospects feel a little special, as well as showing them you took the time to get to know them and that you care about and respect their preferences and likes. Improved customer experience - a personalized marketing experience is something that customers expect and appreciate. Keeping your customers happy will help you turn them into brand advocates. To further demonstrate the power of personalization, let’s throw in some numbers. According to Infosys research, 31% of consumers wish their shopping experience was more personalized while Deloitte's research discovered that 36% of consumers want to buy personalized products or services. In fact, 57% of consumers will gladly share their personal information with brands if they receive tailored offers or discounts, 52% would like product recommendations, while 53% are keen on personalized shopping experiences. Last, but not least, there’s also a number to support Amazon’s success story– 35% of its sales come from product recommendations. We live in a product abundant world, where customers can afford to be picky and expect a personalized experience. There is a lot of room for improvement, and you should treat it as an opportunity rather than a chore. If you do it right, your efforts will pay off! Before you embark on your marketing personalization journey, there are a few steps you need to take to prepare yourself. Look into your current customer base. Consider their personal details, job position, location, habits, preferences, etc. 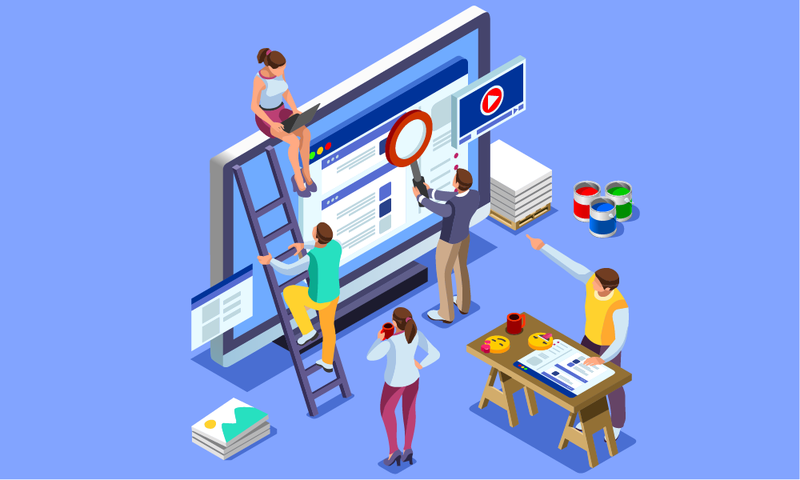 If you manage your CRM properly, it should contain invaluable information about your customers, which you can use to build your marketing personalization from the ground up. Furthermore, make sure to monitor their activity online to understand their past buying behaviors. This will enable you to spot any behavioral patterns which you can base your marketing personalization on. Use Google Analytics to verify where your visitors come from, what content they consume, and what steps they take before they convert on your website. You can use a heatmap (via HotJar or LuckyOrange) to check how your visitors interact with your website and to see which areas get the most attention. It will help you in deciding where to place your key content. It’s also worth checking what your customers say about your product and your brand on social media or product review websites like Capterra, Yelp, Facebook, or Google depending on your industry. Pay attention to what they value, so you know what to focus your marketing personalization efforts on this. Your customers vary, and you need to acknowledge these differences in order to personalize their experiences. Segment your customers into smaller groups based on your chosen criteria (again, you might want to dive into your CRM to spot any obvious differences). How do you identify their preferences of your customers/leads/prospects? You can ask them in a survey. 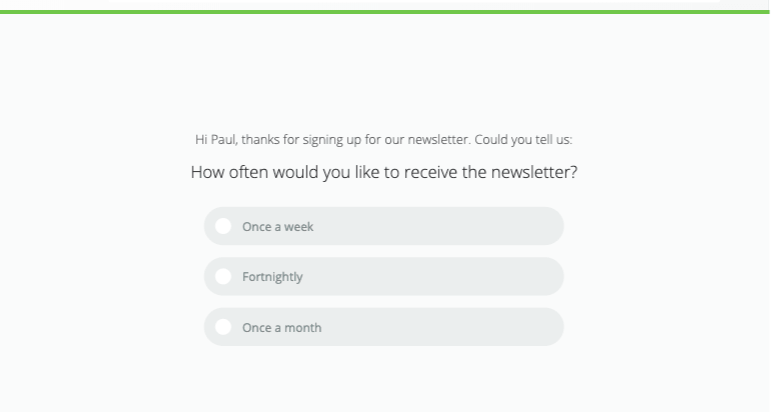 For example, if a visitor signs up for your newsletter, send them a confirmation email and embed a short survey asking what topics they’re interested in, and how often they would like to receive communication from you. If they fill it in, great! If they don’t, then you can use a little trick of mine: use a newsletter. Newsletters are a powerful method of amplifying your content’s reach and more importantly in this case – they give you the opportunity of asking your leads about the content they're hoping to read in a natural, unobtrusive manner. To learn your audience’s preferences, try sending out a newsletter with a variety of content, but before you do, create interest lists for each of the subjects discussed in it. Then, based on the content your subscriber clicks on, create a workflow to add them to the relevant list. If they’re interested in more than one subject, add them to multiple lists, or create a separate list for subscribers who’re keen on reading all your content. This strategy is not foolproof; there is always a chance that someone is interested in a topic, just not the particular piece in your newsletter, but this activity will give you some basic direction and guidance on what will pique this contact’s interest. After implementing this strategy, our open rate and click-through rates have doubled. Nothing is more personal or memorable than a human-to-human conversation or interaction, but that isn’t very scalable especially in a digital world. In order to make your marketing personalization a success, you need to figure out which customer interactions can be automated and which can’t. As a rule, all interactions based on repeatable behaviors can be automated. For example, if you have a newsletter and gain a new subscriber, you can send them a personalized welcome email (include their name, and ask for their content preference – as discussed in the previous section). The same can apply to users who decide to sign up for a free trial or in cart-abandonment scenarios. All interactions which are unpredictable shouldn’t be automated but dealt with personally. For example, if your customer has problems with your product or had a negative experience with your service, they will expect a human interaction, so bear this in mind. Content marketing is a great way for educating your current customers and acquiring new ones. However, it’s only effective if it’s relevant to your readers –and this means personalized. Assuming all your readers are interested in the same topic and the same content format is dangerous. Once a lead interacts with your blog, it's your job to find out what they want to read and learn more about. If they think that the majority of published articles is completely irrelevant, they'll stop visiting your site – plain and simple. All in all, in order to engage your readers consistently, you have to make sure that finding new, relevant content is effortless. 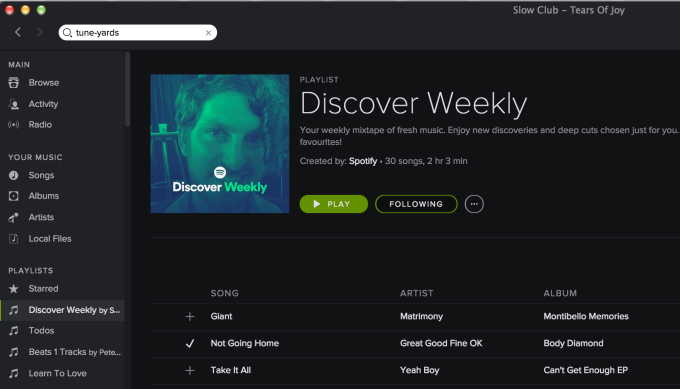 Spotify does it well with their personalized playlists like Discover Weekly and Release Radar. They’re designed to help listeners find songs they like based on the songs they listened to in the past. Spotify’s algorithm is excellent at identifying and analyzing listener’s habits to suggest music which perfectly matches their user’s music preferences. Thanks to their personalized playlists, Spotify keeps their users’ engaged – they keep coming back for more. The curiosity of what’s coming up next keeps them hooked! They say email is king, and while it still is the most effective communication channel, it might not be the preferred one for your customers or leads. So, don’t put all your eggs in one basket. Let your customers/readers decide how they want to be notified about new content. 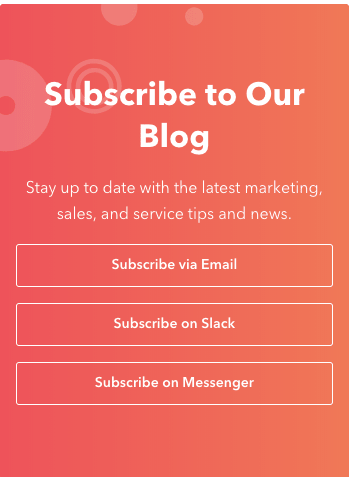 HubSpot, for example, offers their visitors three different options to subscribe to their blog: via email, Slack, or Messenger. Just like you and I, your readers and prospects have their favorite communication channels. Some reserve email for work-related matters only and will prefer to be notified about new content via Facebook Messenger since this is what they use outside of work. Being aware of the communication channel your customers/leads prefer and enabling them to use that will make reaching them easier and most importantly, make them happy. Remember that creating tailored content is only half of success. You also have to ensure you deliver it in the right way at the right time. If you assume everyone prefers email, you'll risk not reaching those subscribers who have other communication preferences, so give them options to choose from. Such an approach will not only allow you to extend your reach but will also show your readers you respect their preferences. Dynamic content is web content that automatically adapts depending on your user’s behavior, preferences, and interests. It’s generated at the time the user requests a page and allows you to create a customized experience designed specifically for your customers, readers or visitors at that very moment. The more information you have about your customers or leads, the more effectively you can use dynamic content. Gathering data will take time, but if you want to speed up the process a little, you can use Clearbit to fill in any information gaps. 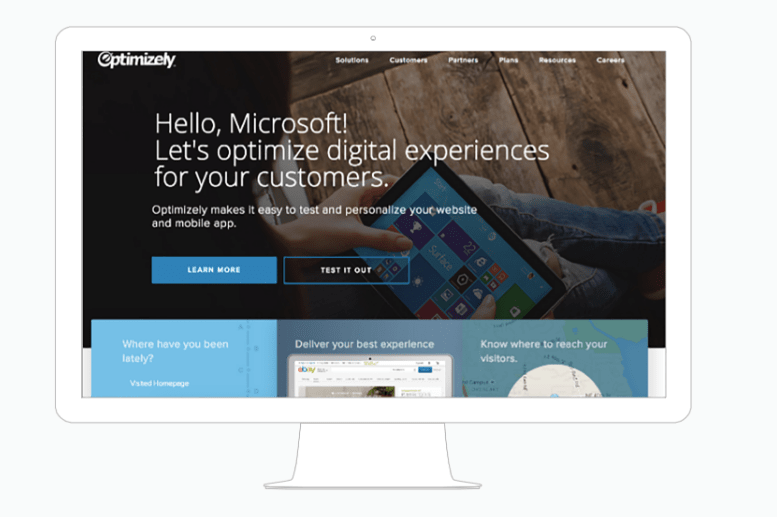 Optimizely took advantage of dynamic content and achieved stunning results. They created 26 different versions of their homepage, adjusting content to specific audience segments and companies based on their IP addresses. Thanks to the dynamic content like this, they saw a 1.5% increase in overall homepage engagement, a 113% increase in conversions to the Solutions page, and a 117% increase in demo signups. Most of us like face-to-face interactions; they reduce distance and make emotions easier to express. Unfortunately, meeting your customers or leads in person is frequently impossible. Using a video, however, constitutes an excellent alternative to face-to-face meetings. Personalized videos are great at grabbing a user’s attention. They resonate with them more because they were created for them specifically. It’s human psychology; we better relate to information which was hand-picked just for us. So, what can you include in a video to make it more personal? You can add your user’s or lead’s name, their company name, as well as include messaging tailored to them individually. Video is the future of marketing. 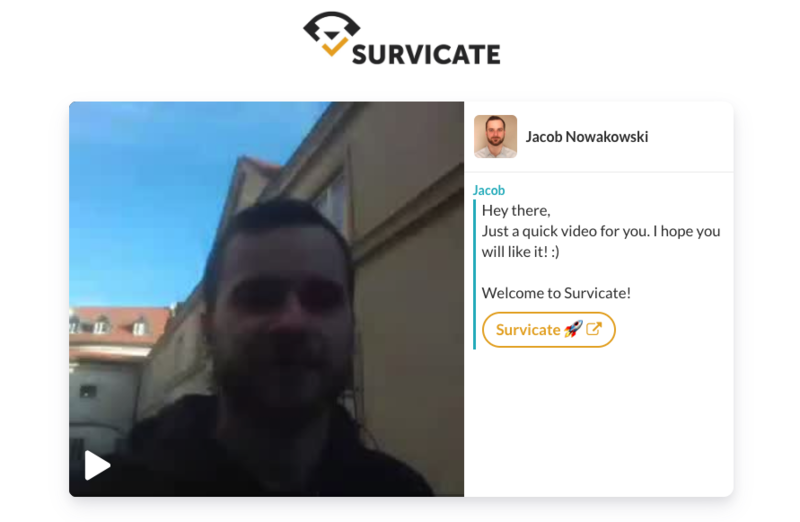 Our Customer Success Team at Survicate uses Bonjoro to record a custom video message for every new customer we acquire. They welcome them on-board and ask about their main challenges and expectations. It’s a great way to break the ice. Alternatively, you can use Vidyard to create personalized videos. It doesn’t require as much work, as it extracts information like name, company name, etc. from your marketing automation platform. It’s Time to Put Theory Into Practice! Hopefully, by now you understand what steps to take before creating a marketing personalization strategy: identify your customers, create a segmentation, interact with them and adjust your behavior to their needs. We’ve also given you a few personalization ideas to get you started. Now all you have to do it test them! Let’s say you wanted to organize a webinar. Wouldn’t it be great if you sent a custom-made video invite to all your customers? Or if you have an important bottom-of-the-funnel offer, wouldn’t you love to have the landing page copy great them by name?